ALL EYES might be on the men’s RBS 6 Nations as teams look to build on their World Cup success – or erase the disappointments of New Zealand from their memory – but the women’s championship should provide plenty of entertainment too. After all, England Women have enjoyed far more success than their male counterparts recently. Having lost narrowly to New Zealand in the 2010 Women’s World Cup final, England gained revenge by beating the Black Ferns back-to-back for the first time and then drawing 8-8 with them to take the Test series 2-0 at the end of last year. Having not lost in the Six Nations since Wales beat them 16-15 in 2009, England are aiming to achieve a hat-trick of Grand Slams this spring as they look to build on the momentum created by their success against New Zealand. England coach Gary Street says: “I think this is going to be the toughest Six Nations we have experienced in quite some time. Every game is going to be a challenge. In a boost to the profile of women’s rugby, two games will be played after men’s fixtures at their national stadiums – England-Wales at Twickenham on 25 February and Wales-Italy at the Millennium Stadium on 10 March – and Sky Sports will televise England’s penultimate game against France live on Sunday 11 March. Wales finished fourth in last year’s championship, but will be looking to impress this season on those big stages. 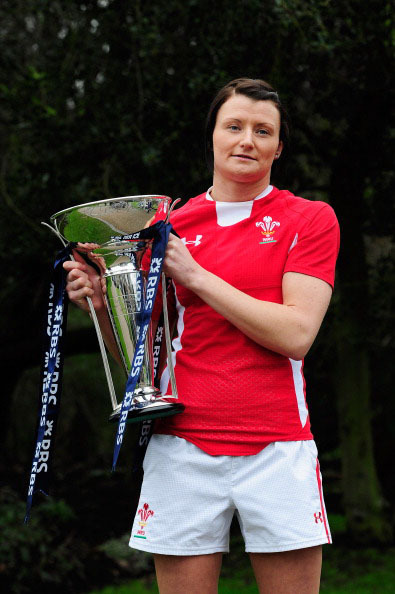 It’s the first time they have had the chance to play at Cardiff’s Millennium Stadium and new captain Rachel Taylor can’t wait. “Both stadiums have a huge capacity, which is something we’re not quite used to, but it’ll be great to get more exposure,” says the back-rower.